Sorry, no matches on eBay for "Kulla Sunset Orchid Mantis". 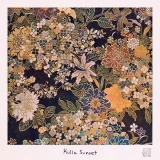 Kulla Sunset is ranked as the best album by Orchid Mantis. Members who like this album also like: By The Deep Sea by Federico Albanese, 50 Song Memoir by The Magnetic Fields and Open Here by Field Music. The tracks on this album have an average rating of 78 out of 100 (2 out of 13 tracks have been rated). Related links: top tracks by Orchid Mantistop tracks of the 2010s, top tracks of 2018. Showing all 4 ratings for this album.